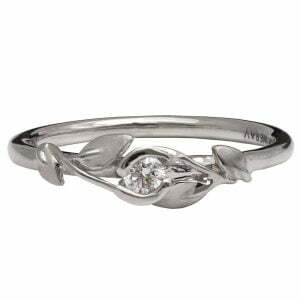 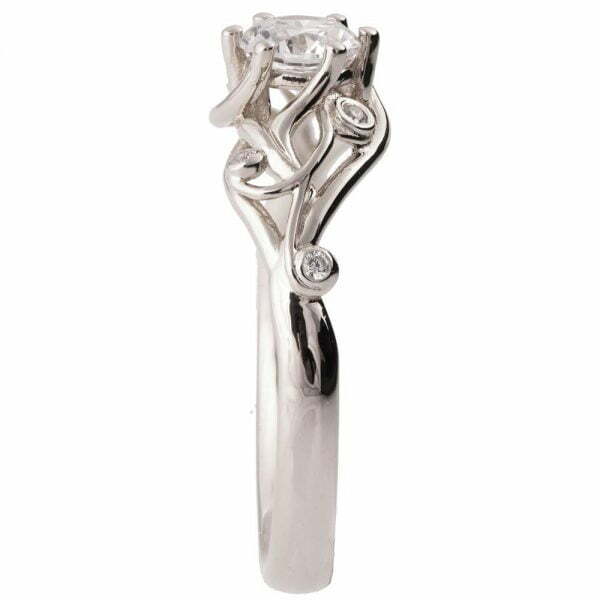 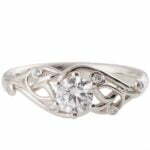 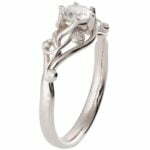 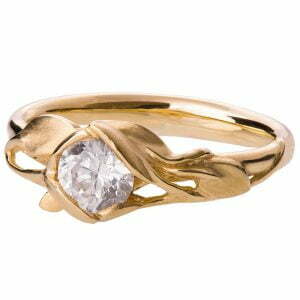 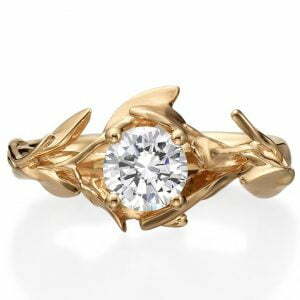 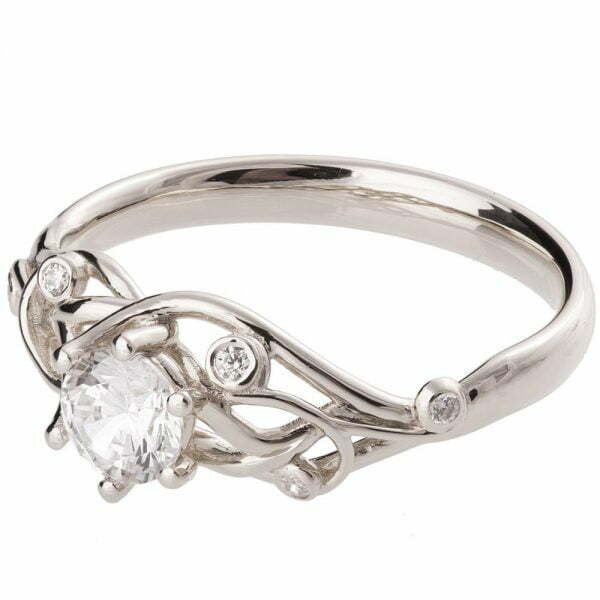 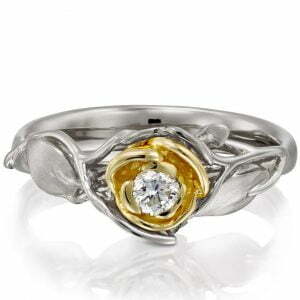 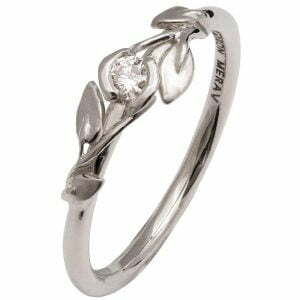 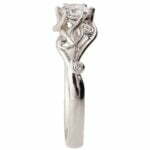 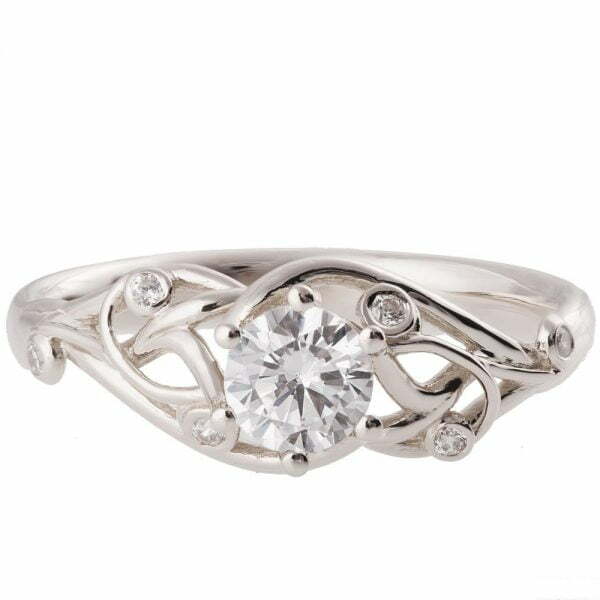 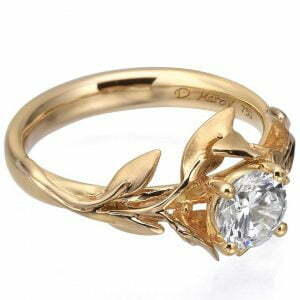 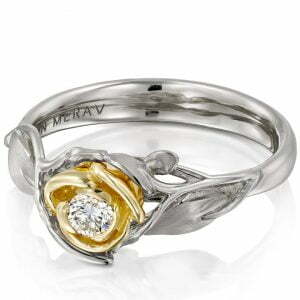 A handmade engagement rings in a composition of twisting vines set with a center moissanite and small diamonds. 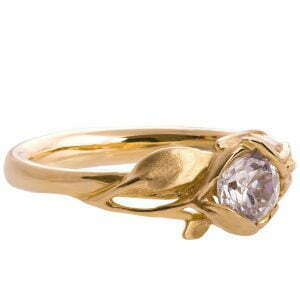 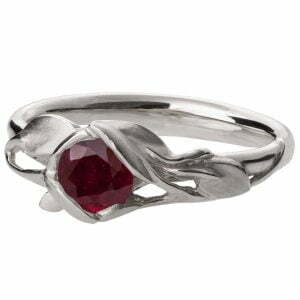 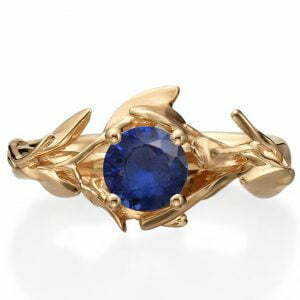 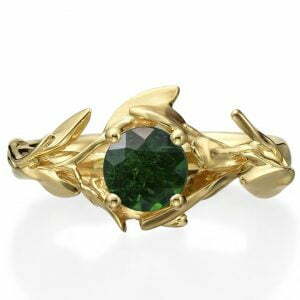 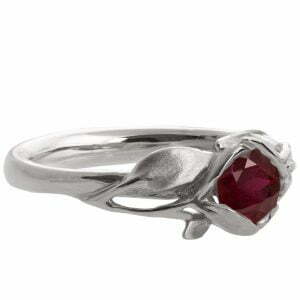 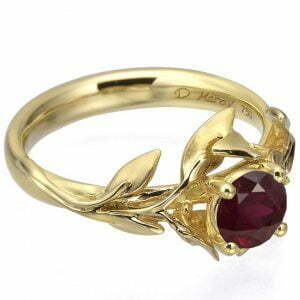 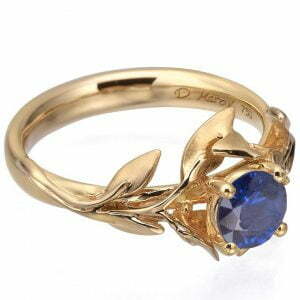 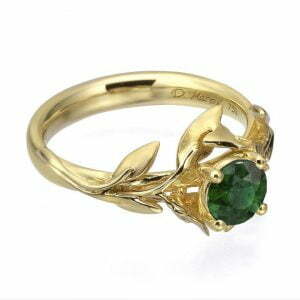 This ring is 7.3mm wide at the widest point. The band is 2.8mm in average.